You’ve probably used eTXT a number of times. If not you then at least someone you chat with on Facebook, on Gtalk or just someone you exchange emails with has used the service from a basic SMS only (no internet) mobile phone to communicate with you. ForgetMeNot Africa, the company behind the eTXT platform, has opened it up to third party developers. The announcement was made recently when the company launched an App Challenge in Kenya, where they work with Safaricom and Yu. 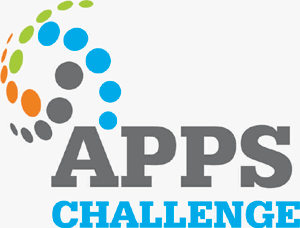 This particular app challenge is running in partnership with Safaricom and Kenya’s popular tech hub, iHub. On the Safricom network eTXT runs under the name ‘Kipokezi’ hence the name Kipokezi Apps Challenge for the competition. For grabs in the challenge is USD 2,000 in prize money, some Gizmos (3 iPads) and more importantly for the winners, the opportunity for mentorship, writing code skills and training by ForgetMeNot Africa’s engineers. The winning apps will also stand a good chance to be launched on the Safaricom network and other FMNA partner mobile networks in Africa. The developer gets to share revenue from the app’s SMS/USSD traffic with FMNA and the mobile operator. The Kipokezi App challenge is not really limited to Kenyan citizens; if you’re a Zimbabwean developer and you are determined to be part of it, you can travel to Kenya to participate and grab the prize from the Kenyans! Or, if you’re patient for just a bit, you can wait for the challenge to launch in Zimbabwe in the next couple of weeks. Maybe a few days. This ForgetMeNot Africa page does say that. And it’s also because we’ve been told so. What’s more, all you need to start developing for the platform is actually available on the FMNA site, so nothing stops you from hacking away already in preparation. FMNA has currently has eTXT operational in 5 countries, Nigeria (Glo), Kenya (Safaricom and Yu), Zimbabwe (Econet), Congo (Warid) and Lesotho (Econet). Hi, this means that all entrants must have a free registration with iHUB before you register (you can do this online). iHUB are a partner of ForgetMeNot and it will help identify the developers.